Quick post today. We are in the middle of an electronic medical record implementation at work so I am exhausted right now. I am doing these posts daily as opposed to a week ahead of time. This was kind of a flop but looked pretty in person. I used Illamasqua Ouija which I love because it wears well and is gorgeous. 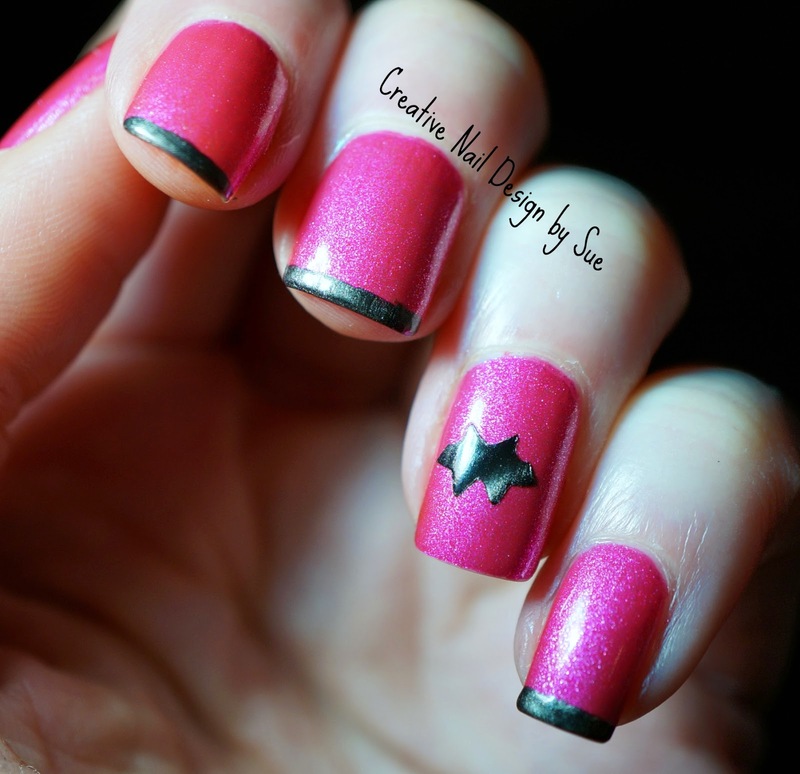 I did a small shape on the accent nail with tips in Magnetic black. I have no idea what the brand is because the label is no longer intact. It was too small to pick up a real magnetic effect but I like to outcome. Love dark tips on this base color! Its nice. Yep I think they look really nice! Love the color contrast! Gorgeous! Absolutely in love with that pink Illamasqua base color! Yum! I love how the magnetic really POPS against that pink!